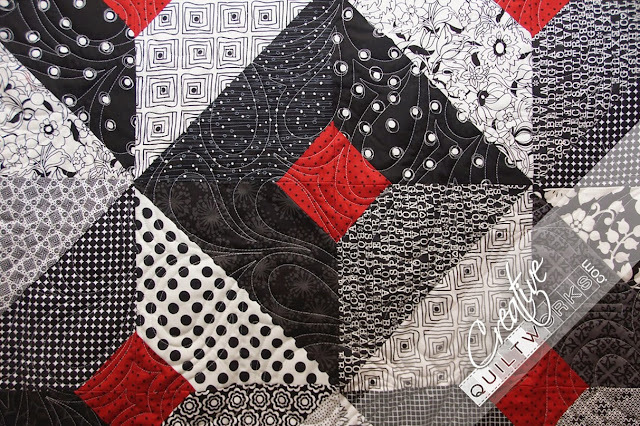 Jeannie Schaerrer brought me this dramatic and graphic quilt to quilt for her niece. 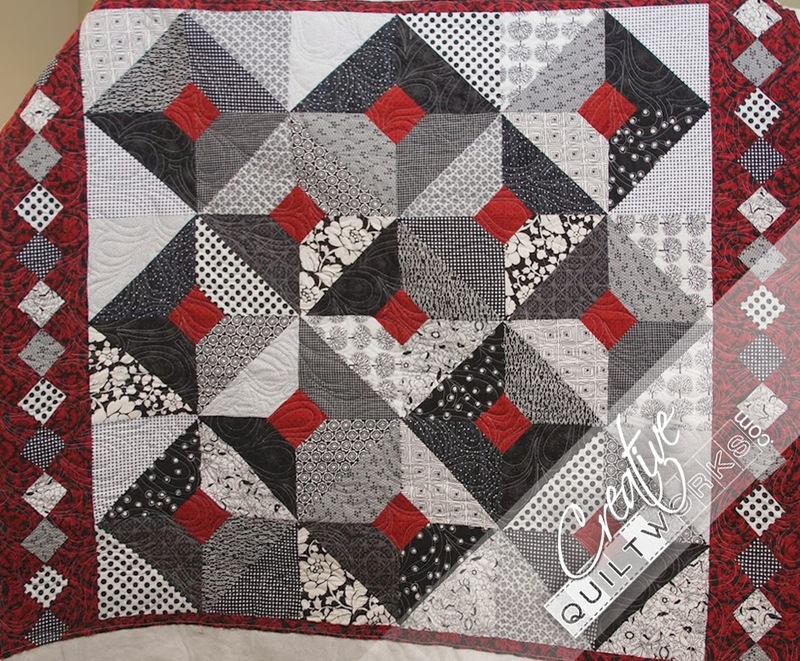 I love the bold graphic design of this quilt. Jeannie's great color placement choices created this great design. This is the back. I love the backs too! 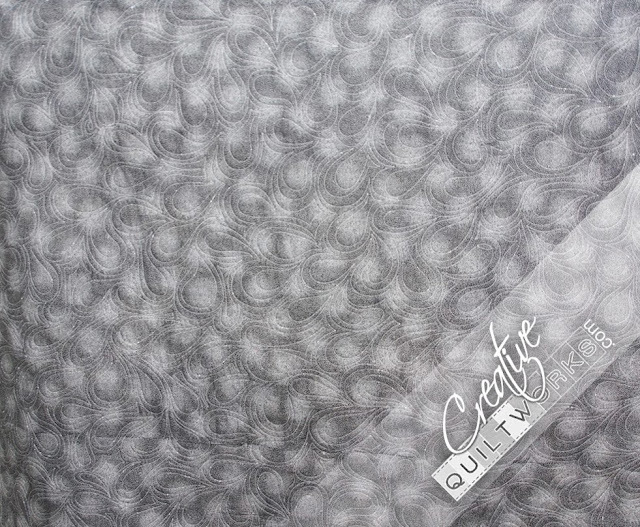 Jeannie chose the all over peacock feather quilting. So effective! 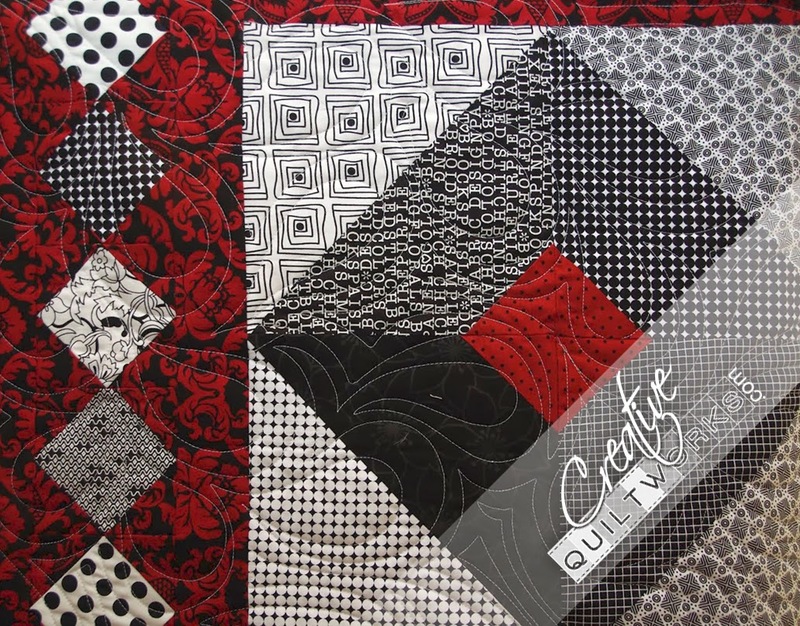 I love the juxtaposition of the curvy quilting and the geometric piecing. 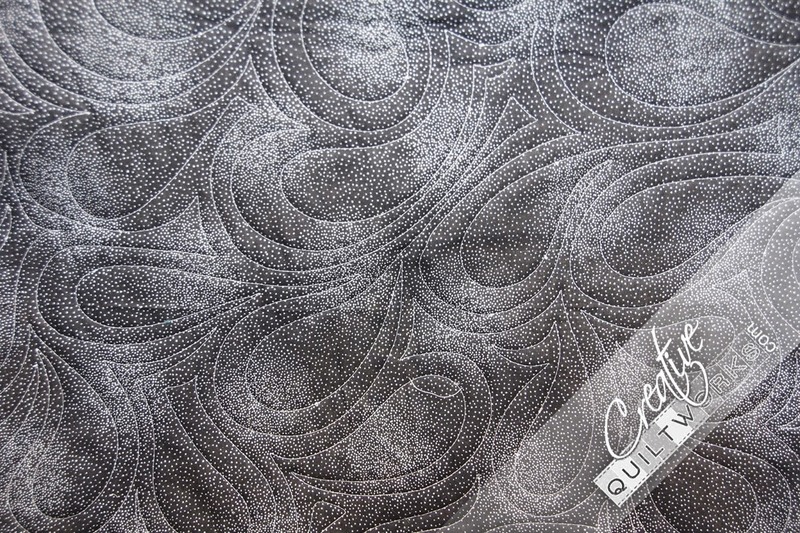 Thank you Jeannie for letting me quilt your quilt!